Back in 1983 a small Californian game company, Fantasy Worlds Unlimited, released WIZARDS' WORLD, a fantasy RPG. The result of how the author's home game evolved, WIZARDS' WORLD included several innovations for its time, not unlike other efforts from the 80s, such as The Complete Warlock or The Palladium Fantasy RPG. WIZARDS' WORLD is an important game in the history of fantasy RPGs, because it reflects the design enthusiasm of the early 80s and is an interesting example of how many people at this time were taking inspiration from Advanced Dungeons & Dragons. In many ways WIZARDS' WORLD might be what Second Edition could look like in an alternate universe. Play a demon halfling, a metamorphic dwarf, or a vampire! — Gain amazing magical powers. You create the characters and play them the way you like. The game master determines the challenges to be faced and the rewards to be reaped; you and your fellow adventurers decide on the strategy. All that is needed to enjoy many hours of fascinating adventures in the comfort of your home is in this book. You will need a variety of dice, and a vivid imagination. Would you consider not putting the PDF into a ZIP file? There's really no point these days and it is just one bummer extra step. I second that. It have been annoying with other GG games too when I want them on my Android phone. 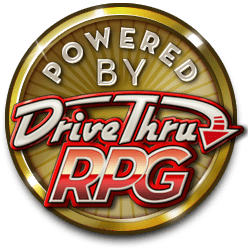 Actually the zip file is best option for DTRPG downloads. It means your PDF file copies are completely deterministic with the publisher's original. Without the zip container DTRPG's download system changes the PDF's with every download into a unique copy. If you've ever tried to determine if you have duplicates or new/old versions of products on a file system you would welcome the zip provided authoritative copies. Run a checksum on the same products to see what I mean. Is it possible to get a preview? Does this game use the Pacesetter system? Or is it its own thing? It is its own thing. Basically what AD&D 2e might have been in an alternate universe! This title was added to our catalog on May 06, 2012.